1305504917 -Statistics is one of the most practical and essential courses that you will take, and a primary goal of this popular text is to make the task of learning statistics as simple as possible. 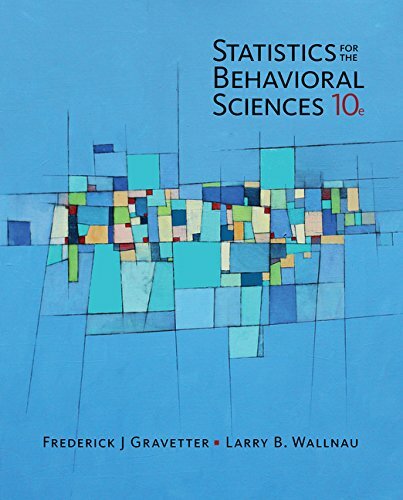 Straightforward instruction, built-in learning aids, and real-world examples have made STATISTICS FOR THE BEHAVIORAL SCIENCES, 10th Edition the text selected most often by instructors for their students in the behavioral and social sciences. The authors provide a conceptual context that makes it easier to learn formulas and procedures, explaining why procedures were developed and when they should be used. This text will also instill the basic principles of objectivity and logic that are essential for science and valuable in everyday life, making it a useful reference long after you complete the course.